I don't know about you, but I have been in the Christmas spirit for about two weeks now. I am that girl who starts decorating before Thanksgiving and is listening to Christmas music for almost two full months. Christmas is the best time of year and I have had so much fun decorating our new house for the first time. One of my favorite parts about the holiday is gift giving, whether it be something big or small, I like to give those I love gifts that I know they will be able to use a lot. 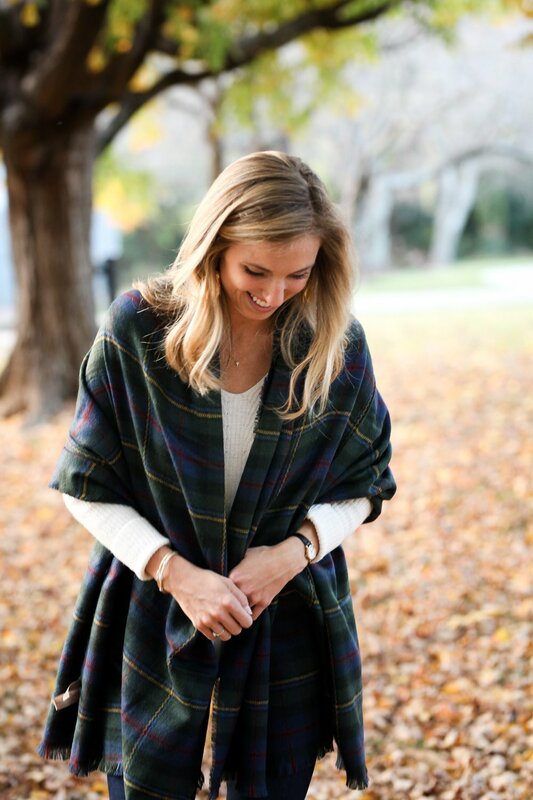 My favorite gift to give the women in my family is a scarf or poncho because it can work in the fall, winter, or spring! There are so many opportunities to wear them and they never go out of style! When it comes to Christmas, I can never think of things to put in my families stockings that will mean something to them and that they will actually use. So I thought that over the next few weeks, I will have different categories of stocking stuffers each week to help you get some ideas. For week 1 of Stocking Stuffers, I'm focusing on Scarves and Ponchos! 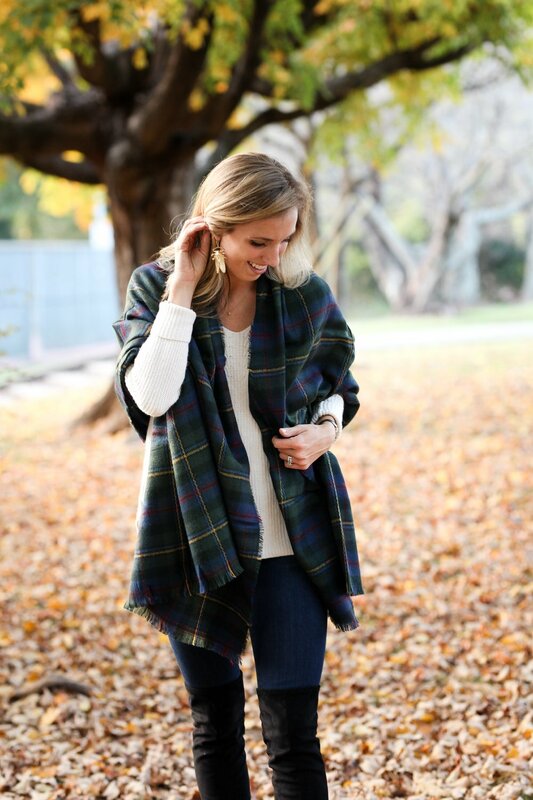 For today's post, I put together a list of my favorite plaid scarves and ponchos (because who doesn't love plaid?!) and they are the perfect Christmas gift for mom, sister, or just a friend! The green plaid one pictured above is from Ivy and Leo, & the black & white poncho is from Vici Collection! For the items below, all you have to do is click on the picture you like and it will take you directly to the landing page! Comment below with any questions or comments an I'm happy to help!